Twenty secluded acres with a seven and a half acre lake. Our beautiful landscape make Serenity Springs the perfect backdrop for your special event. We provide a peaceful and private setting for any occasion. 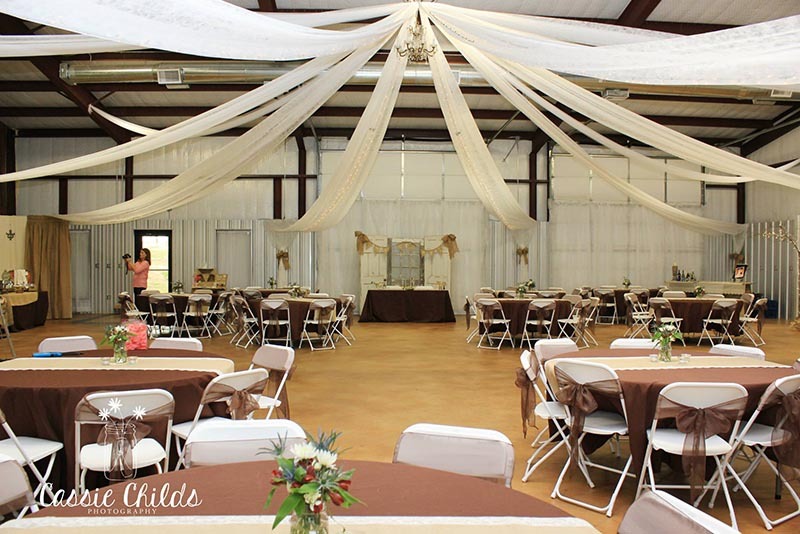 Serenity Springs offers a 4800 square foot rustic building and can accommodate up to 200 guests. Our facility has central heat and air for any weather day in Texas. Enjoy the large kitchen area for caterers or do-it-yourselfers. A dressing room and large balcony are available upstairs, with an iron staircase leading downstairs to the main floor. Tables and chairs are provided for your event. Our large paved parking lot offers plenty of parking for guests. Large barn doors may be opened for a beautiful view of the lake outdoors. 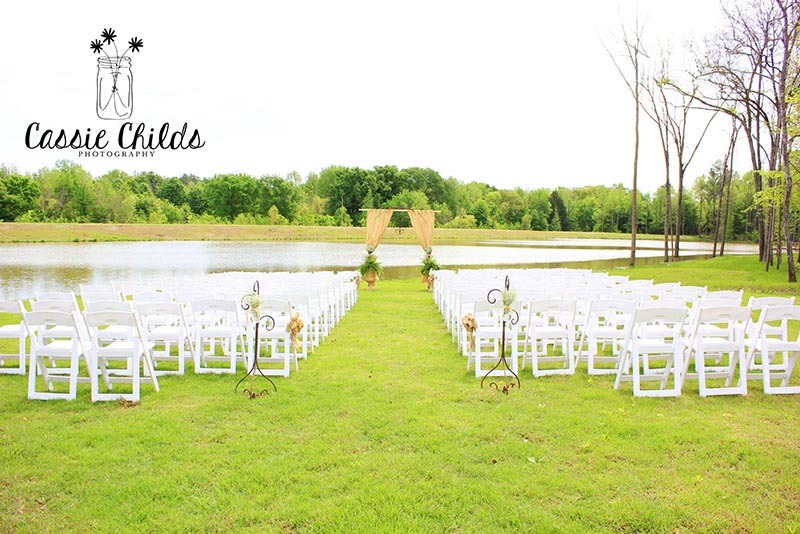 Our large grassy area beside the lake provides the perfect setting for an outdoor wedding, ceremony, or picnic. Your choice of vendors is welcome at Serenity Springs. You will have use of the property for the entire day. We also offer access for engagement pictures, bridal pictures, and rehearsals.